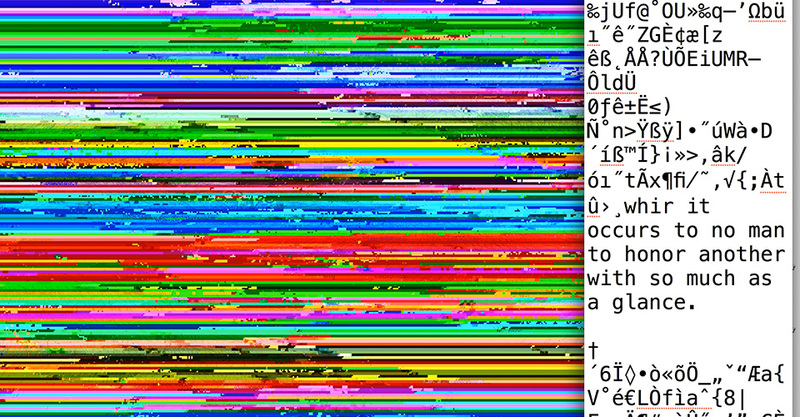 Florian Meisenberg’s six videos illustrate how easily a digital image can be manipulated by tampering with its source code. 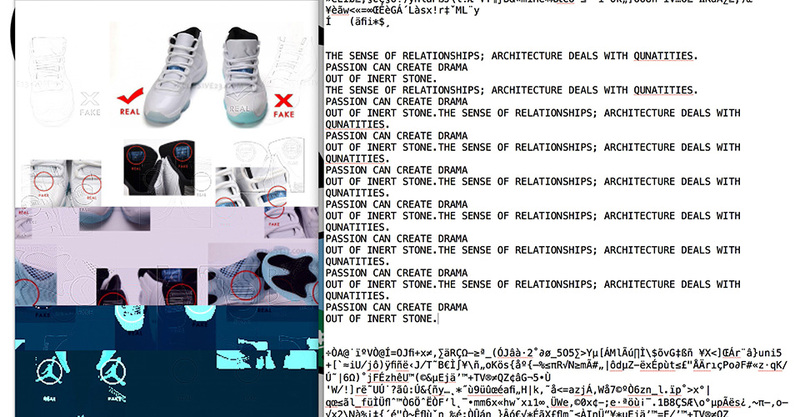 In the videos we observe Meisenberg manipulating a JPG image in real-time by inserting his own comments and excerpts from philosophical and historical texts into the source code, which is visible in a TextEdit window. 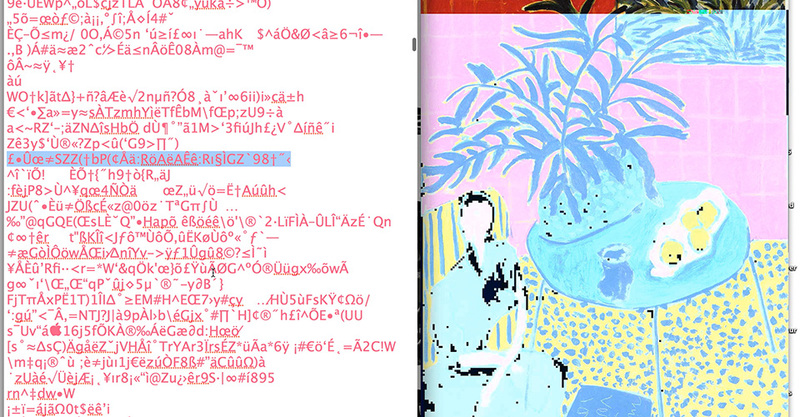 We simultaneously see what happens to the image alongside it. 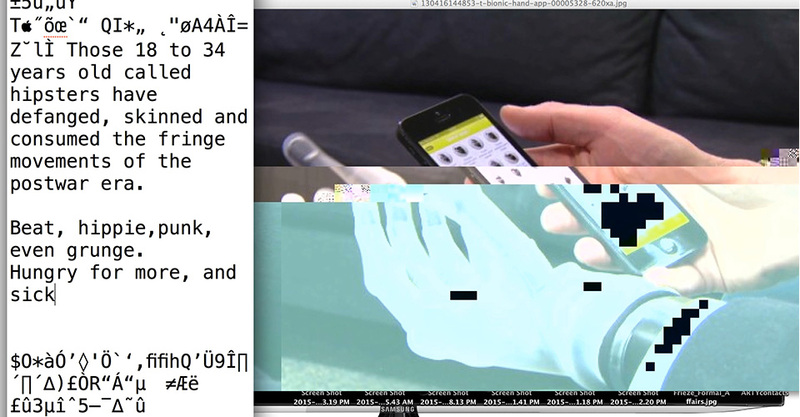 The videos expose the underlying structure of digital images and how even a minor change to the all-important source code can radically alter what we see on screen. Known for his paintings, Meisenberg is intrigued by the process by which images are constructed. He draws an analogy between painting and digital image-making, and points out connections between the two. 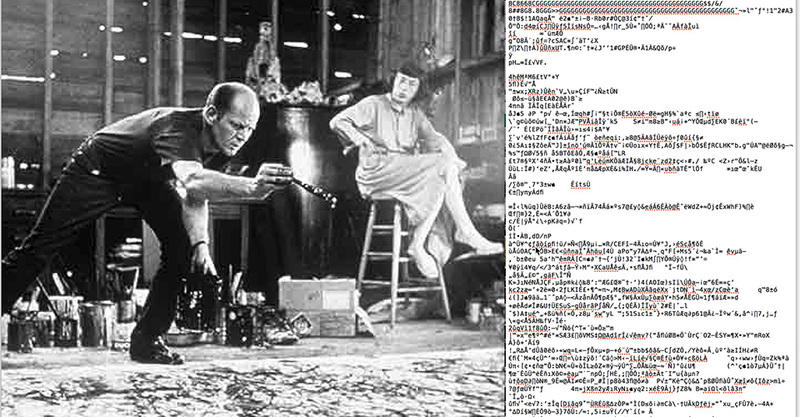 Some of the images manipulated in his videos are direct allusions to art history: one is a photograph of Jackson Pollock in his studio; another is a piece by Henri Matisse. 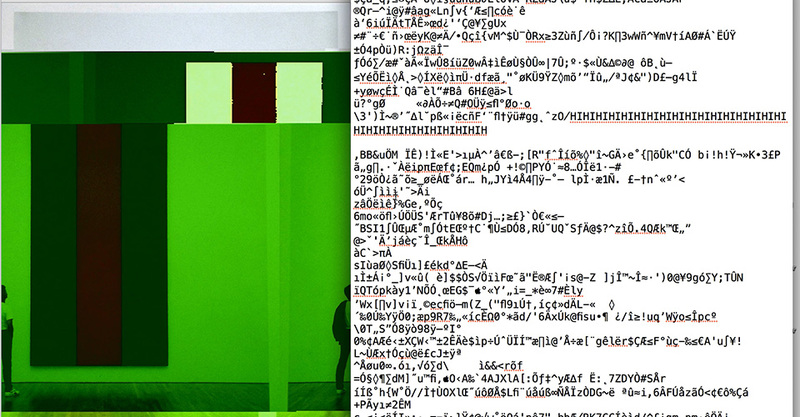 Meisenberg’s videos reflect on how technology and the internet are transforming our visual and aesthetic culture. 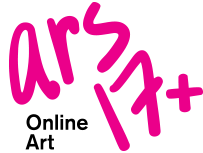 Although the raw images he manipulates are widely different in content, after digital manipulation they all end up looking virtually identical, as a pixelated cluster of geometrical planes.